Before you read any further, please make sure you’re all caught up on Game of Thrones. This post contains spoilers. 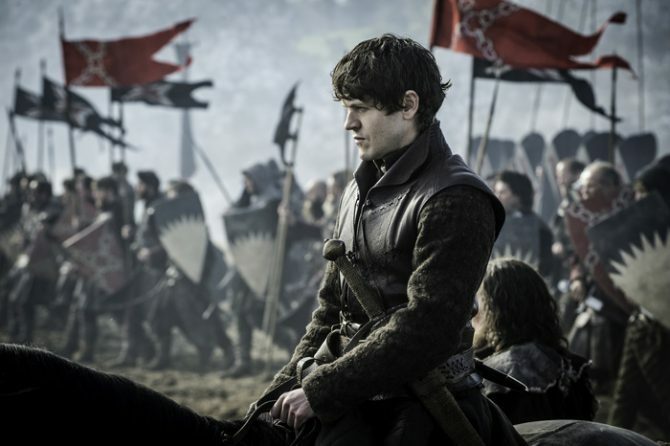 From the name of the episode, “Battle of the Bastards”, we all knew something big was going to go down on last night’s episode of Game of Thrones but HBO delivered so much more. Here are five small moments you might have missed if you were too distracted by the battle to notice. After seasons of watching Tyrion’s advice be mocked by other rulers, he is finally in a role where he can shine. As Daenerys’ hand, he managed to talk her out of killing innocent lives and opt for a diplomatic solution by talking to the masters. You can also see this dynamic when Yara and Theon call a meeting with Daenerys and Tyrion. While negotiating for the Ironborn fleet, Daenerys also keeps an eye on Tyrion, making sure her most trusted advisor approves of the steps she’s taking. Remember when Stannis tried to take Winterfell last season? Remember when Melisandre suggested he burned his own daughter at the stake in order to appease the Lord of Light and win? Remember how close Ser Davos was to Shireen and how she taught him how to read? 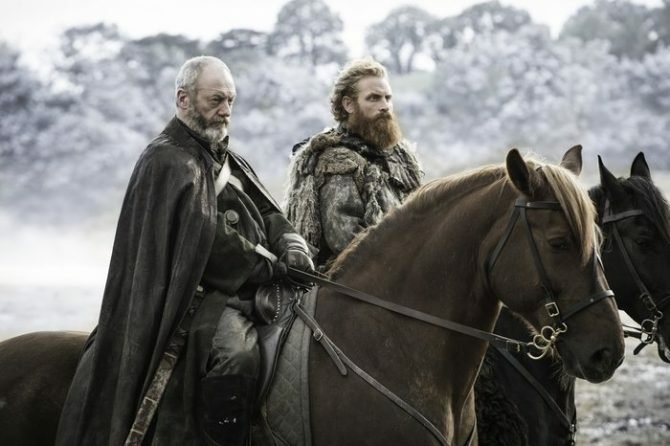 Yeah, we don’t see how this is going to end well for Melisandre now that Ser Davos found Shireen’s wooden horse in the snow where she was buried. We pray this isn’t true but with Sansa being unable to keep her meals down at castle black and with Ramsey’s eerie foreshadowing by saying, “I’m a part of you now” before he dies. 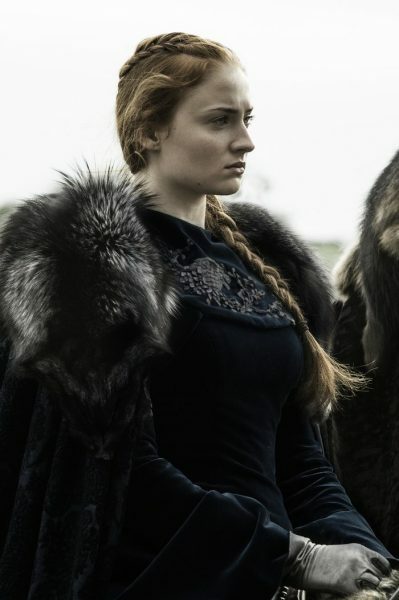 We’re not entirely convinced about this theory and we certainly hope this is not Sansa’s future. 4. Ser Davos basically saved Jon’s life. Again. Ramsey is a master at battle strategy and played Jon like a fiddle. You can see how Ramsey wasn’t even trying when he was aiming his arrow at Rickon and chose to the killing blow right when Jon was two inches away from him. Ramsey then sent down a rain of arrows, making it impossible for Jon to turn back to his troops. 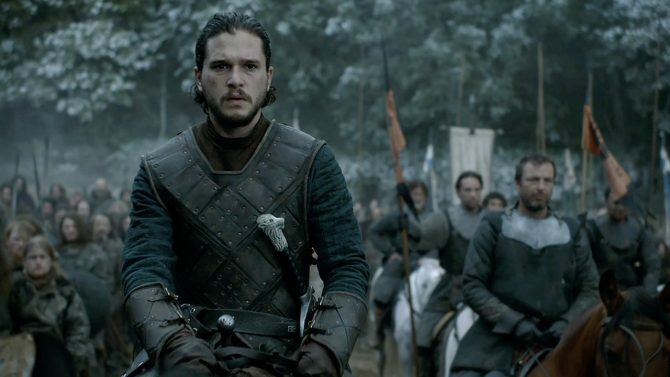 Ramsey outplayed Jon and made his only choice to ride forward into certain death with the entirety of Ramsey’s troops waiting for him. It was only because of Ser Davos’ quick thinking and the Wildling’s loyalty to Jon that the were able to reach Jon right when the battle was about to start. Instead of aiming the arrow at Jon’s head, Ramsey chose to shoot the giant Wun Wun in the eye. He easily could have taken Jon out like a sore loser but chose instead to stroke his ego by becoming the man who killed the last giant of Westeros. Or maybe Jon’s plot armour is just about as thick as his fur coats.